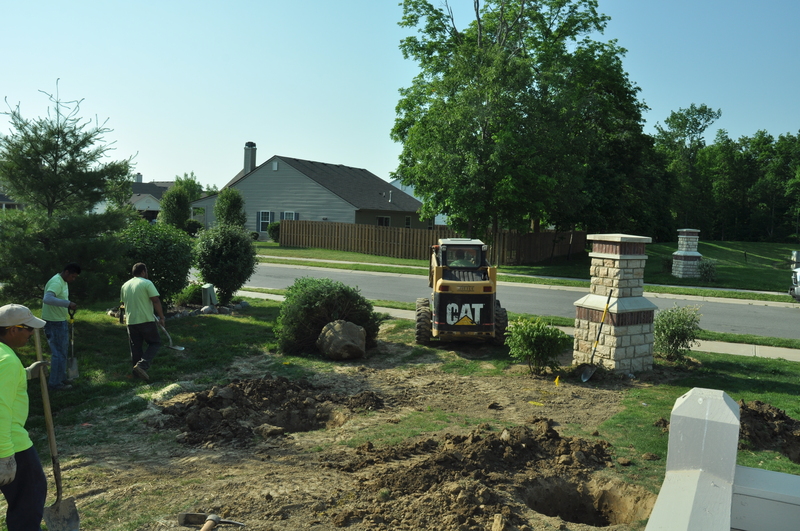 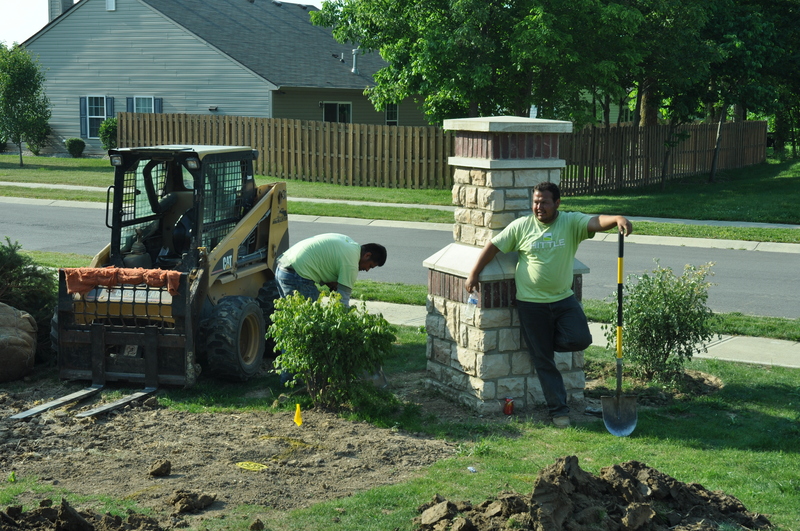 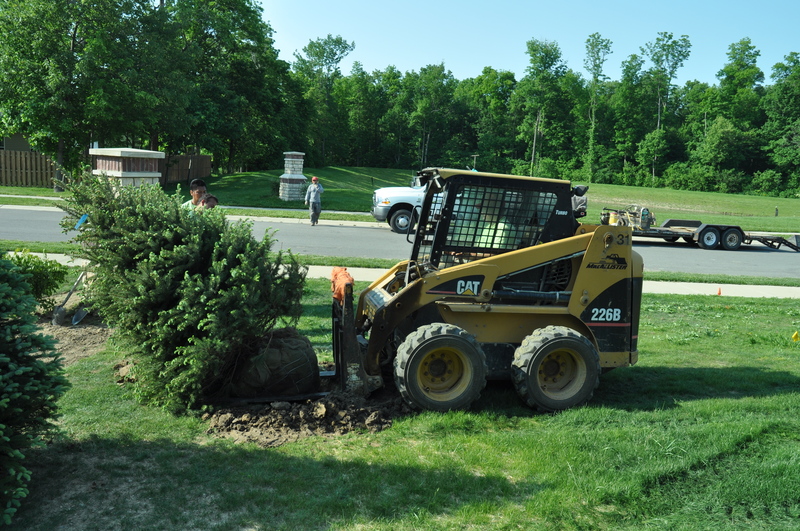 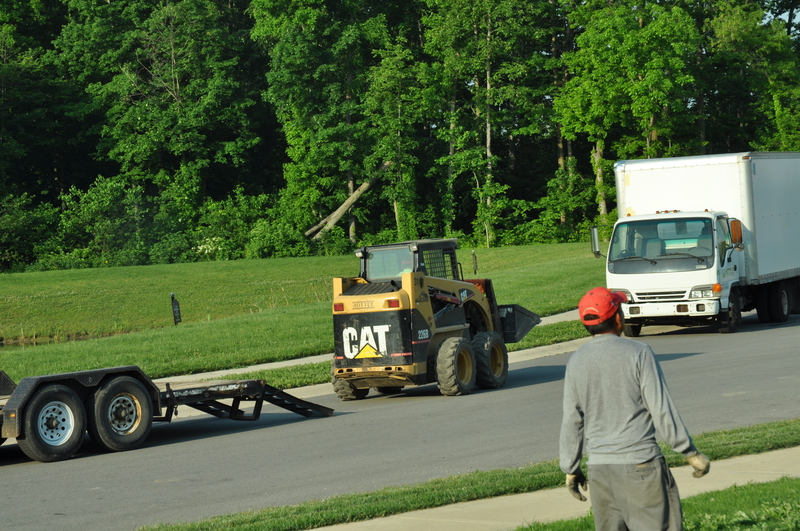 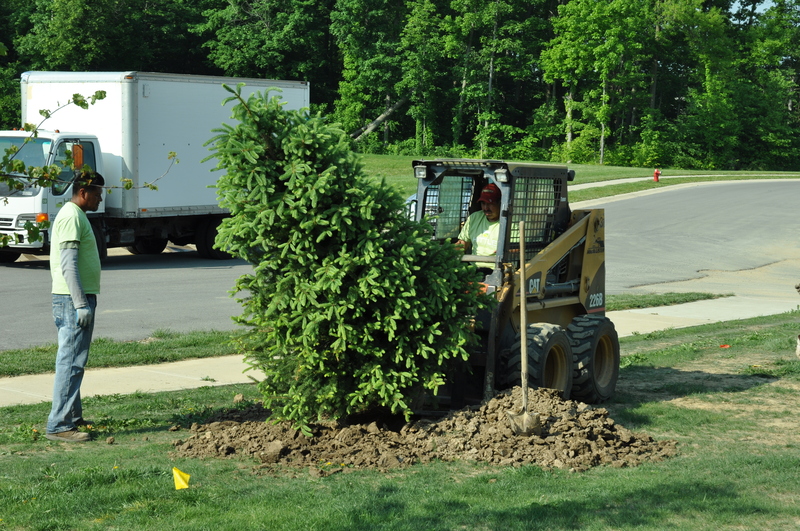 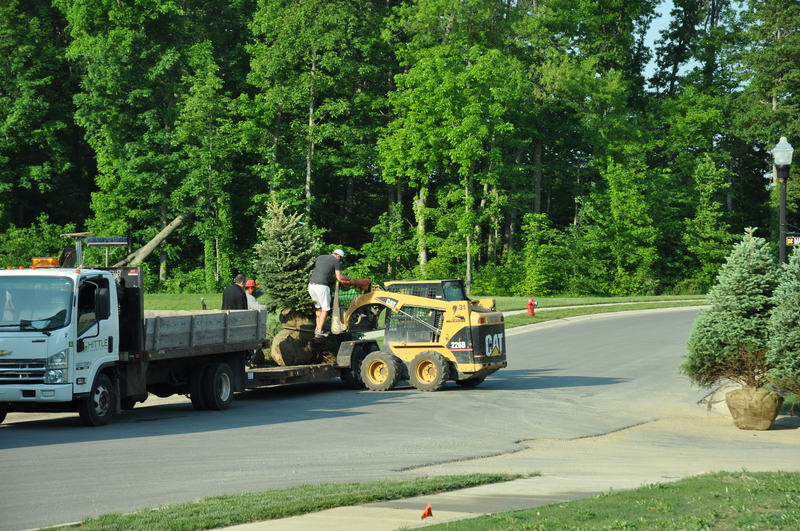 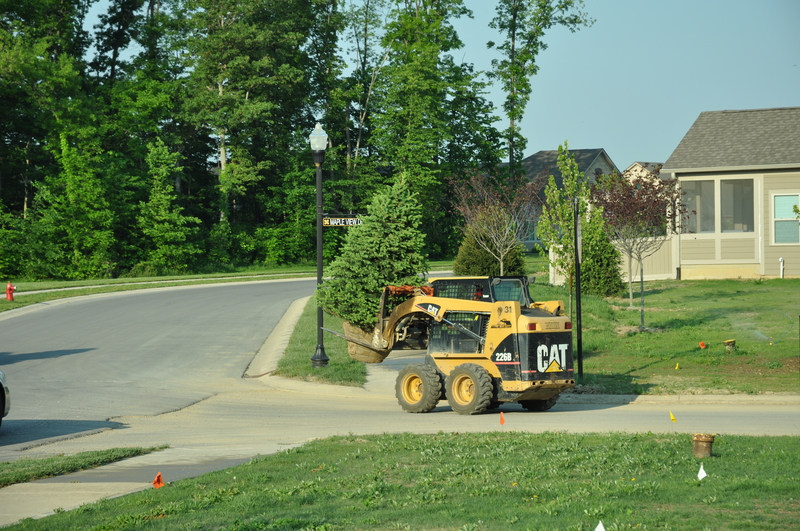 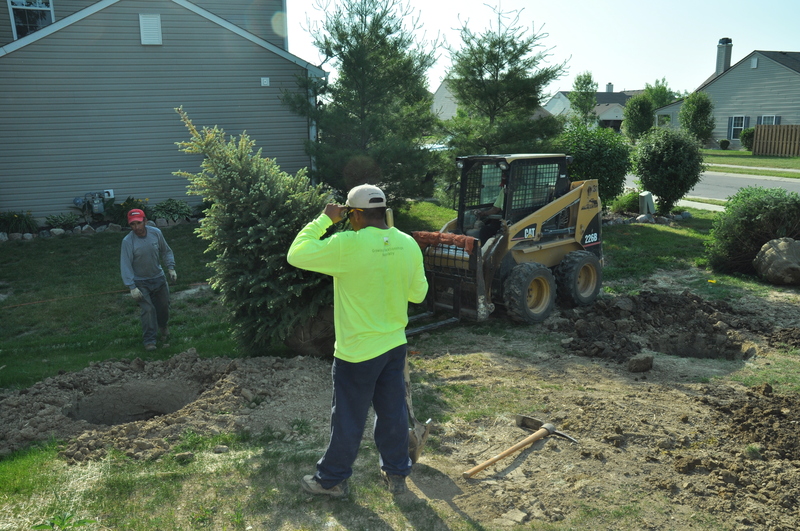 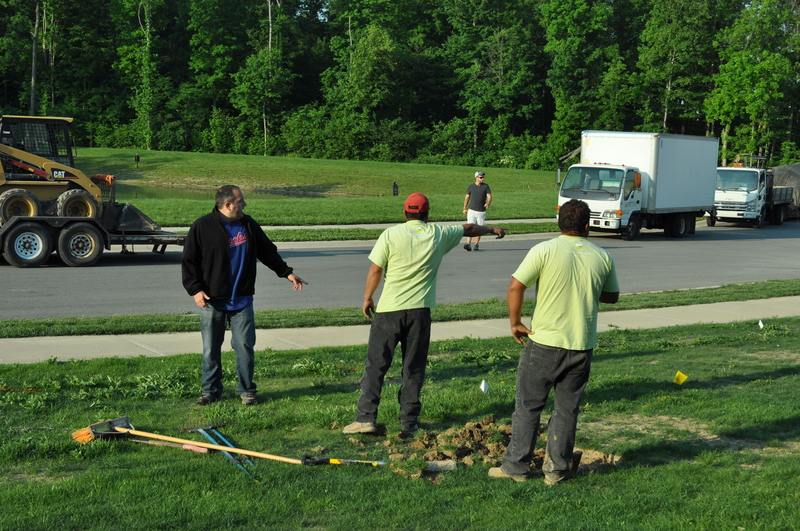 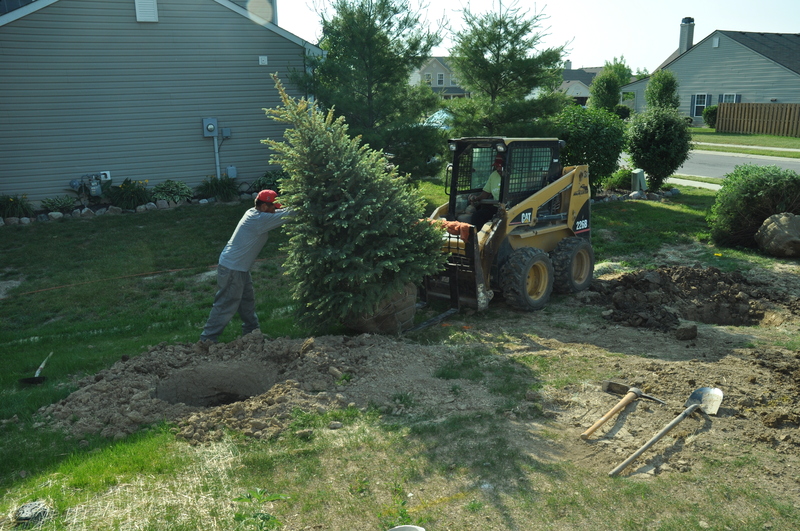 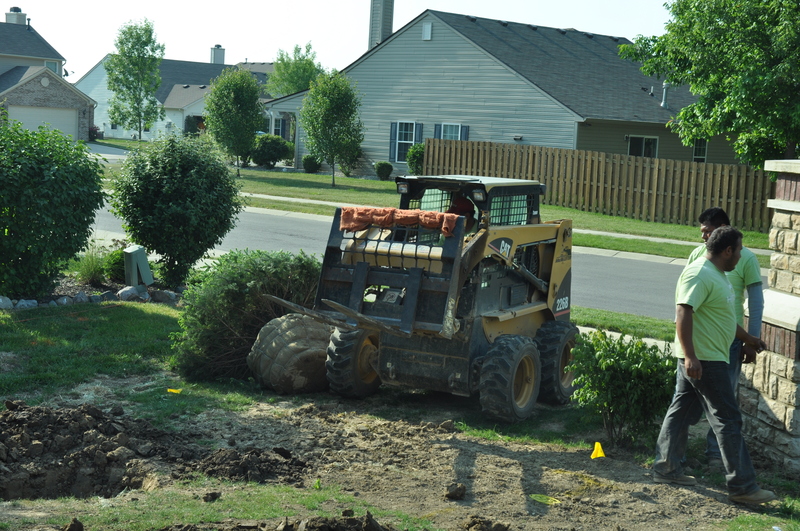 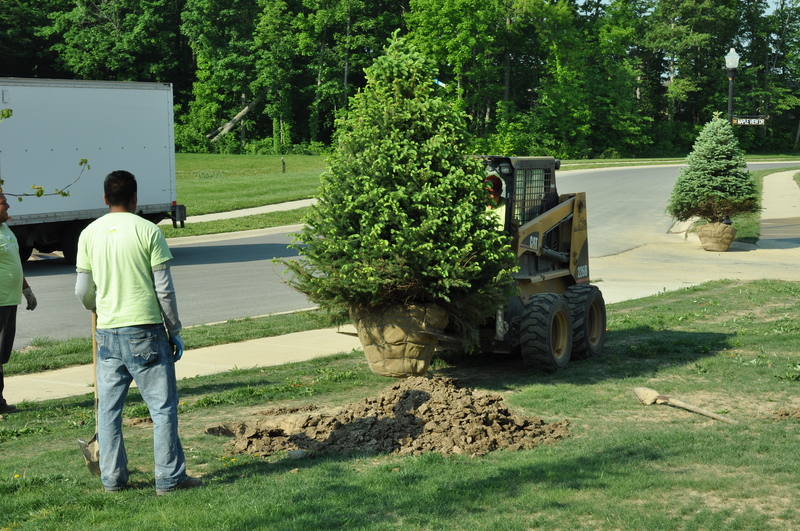 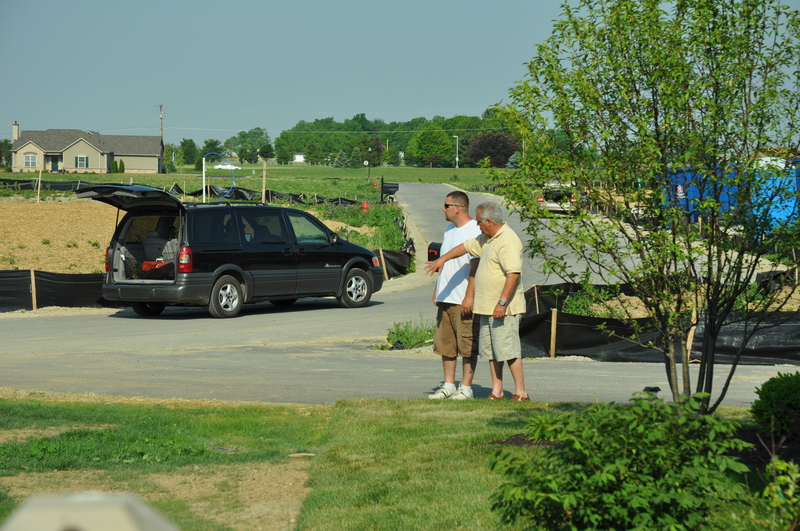 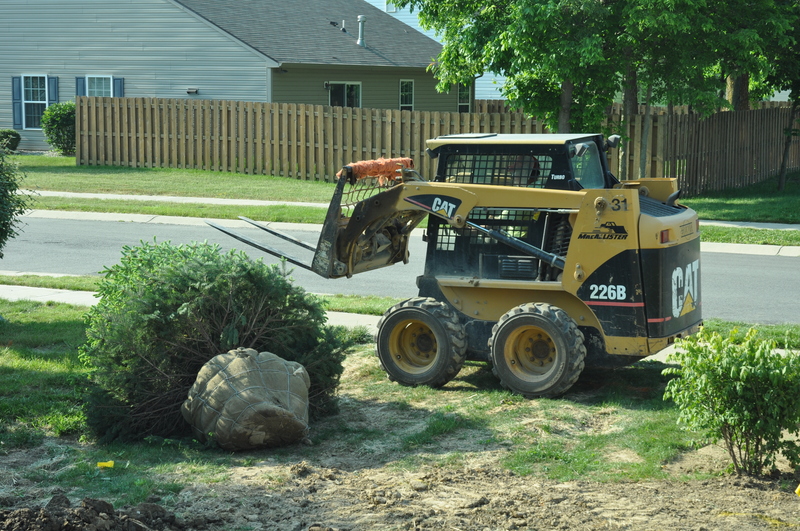 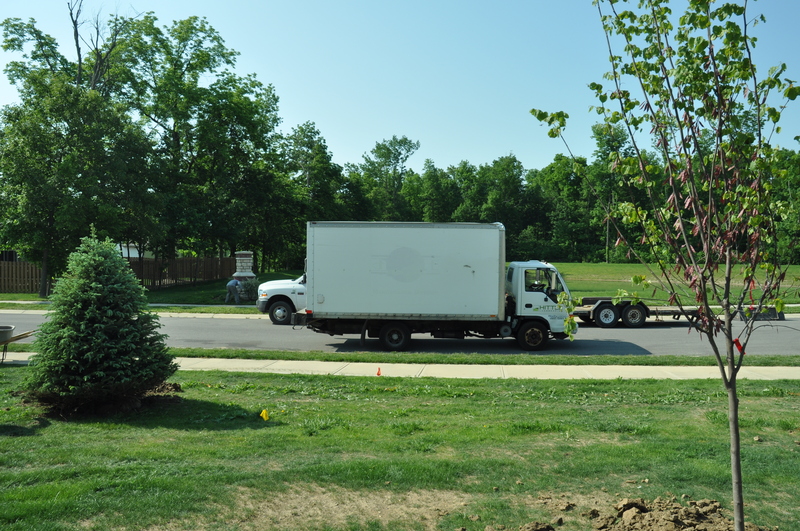 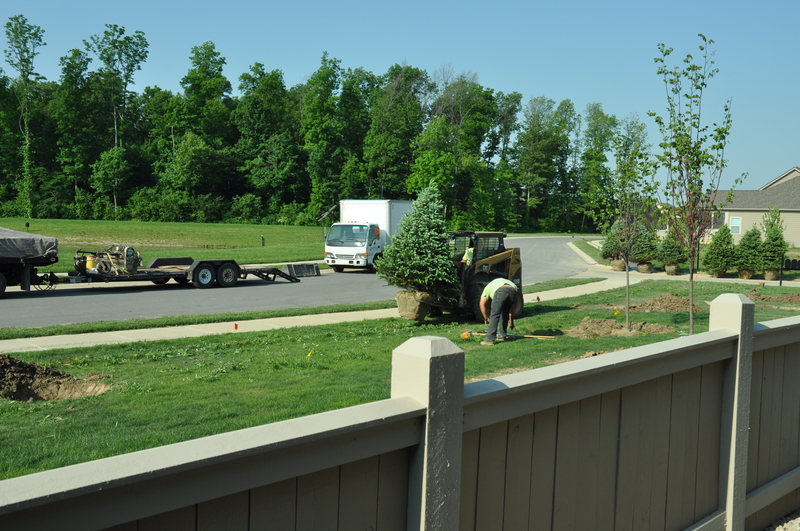 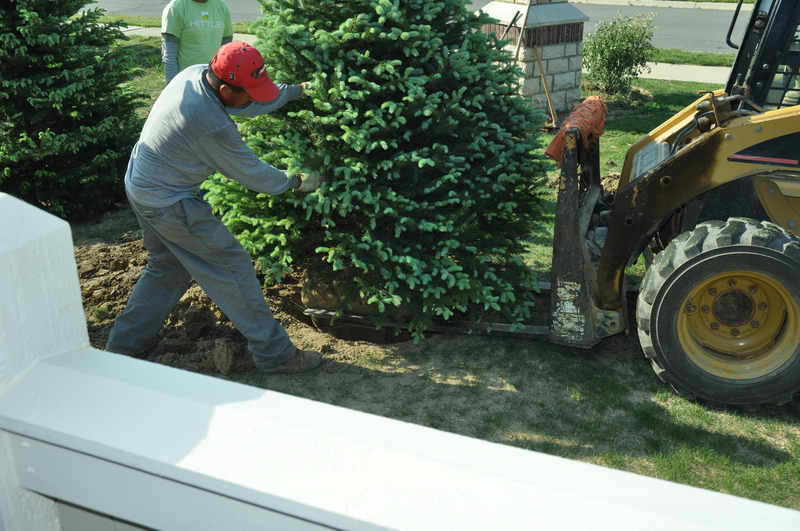 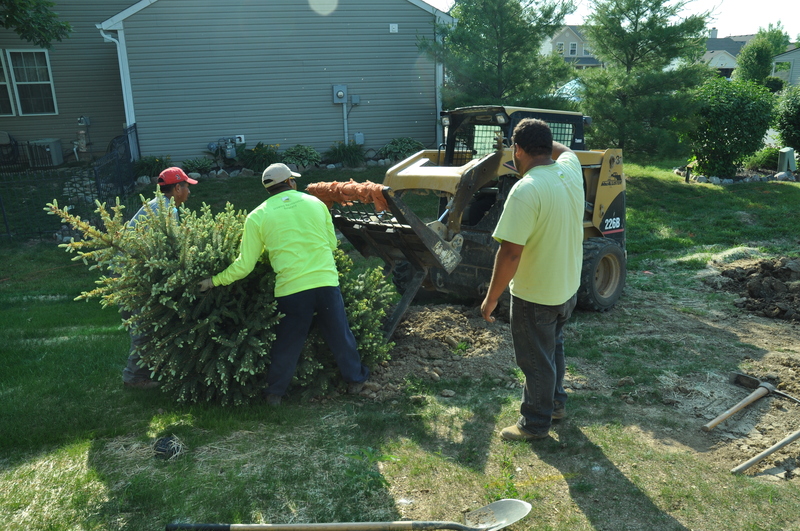 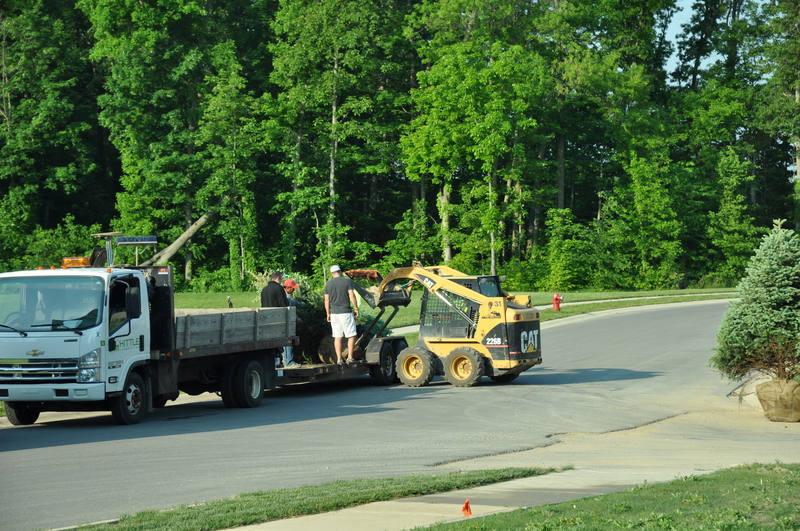 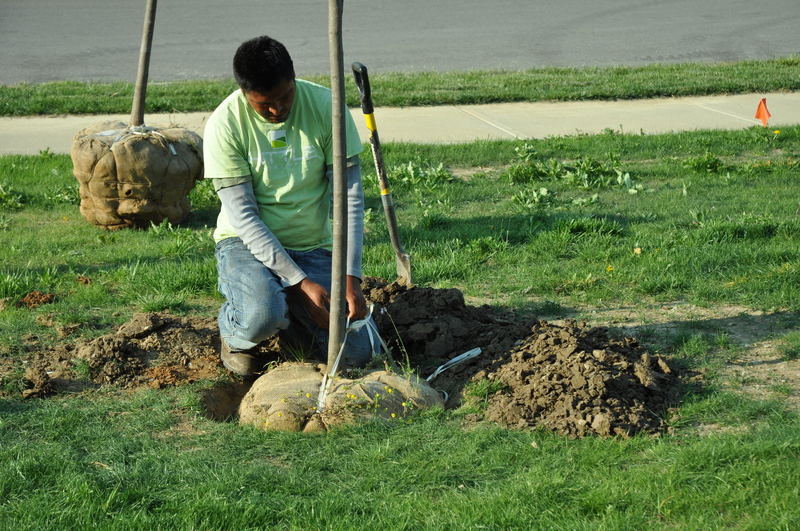 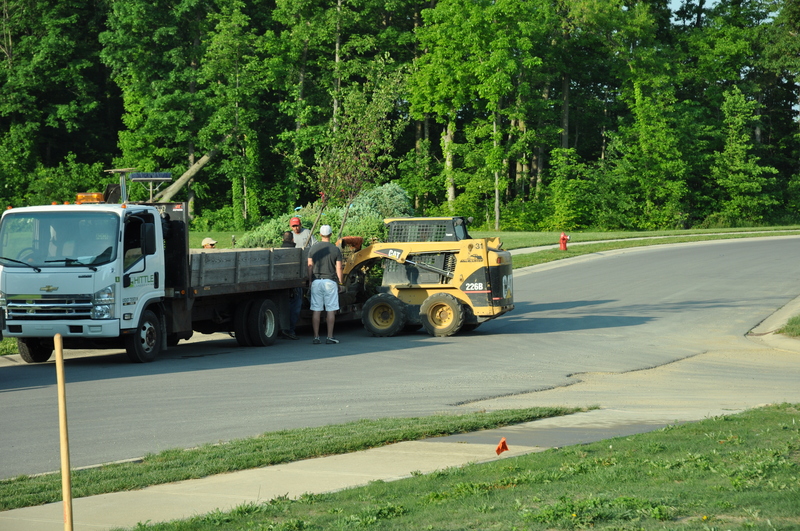 After the debacle with the cut gas main, our final landscaping was delayed for a couple of weeks. 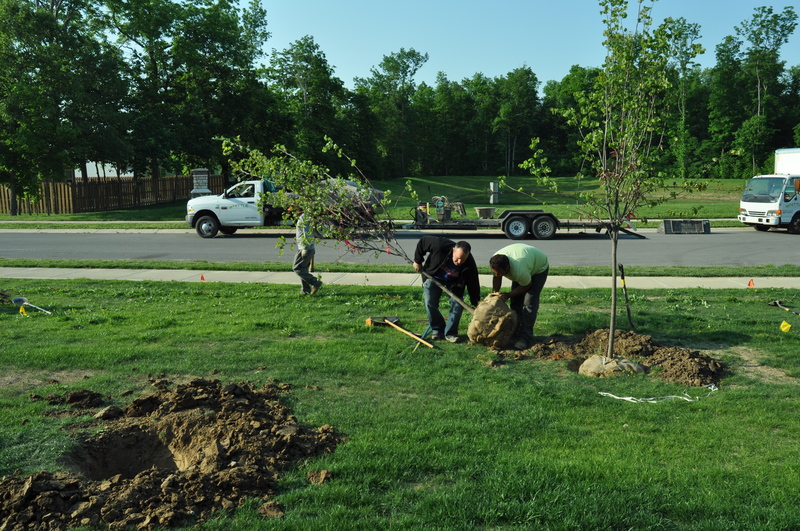 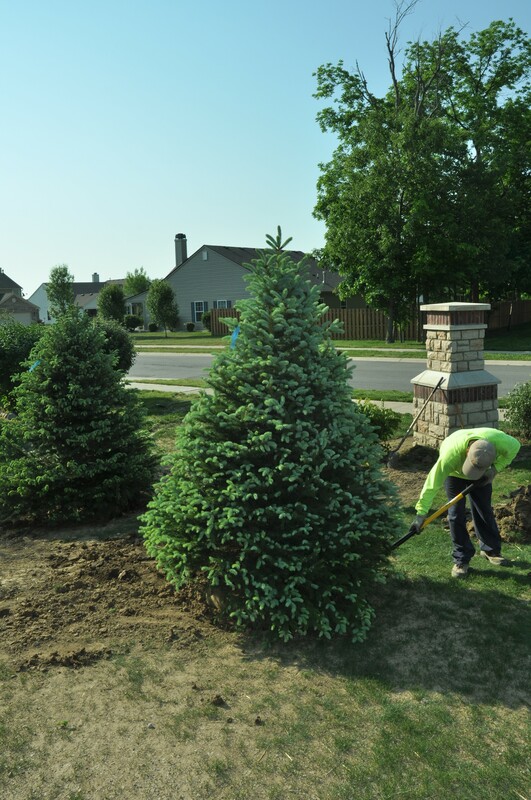 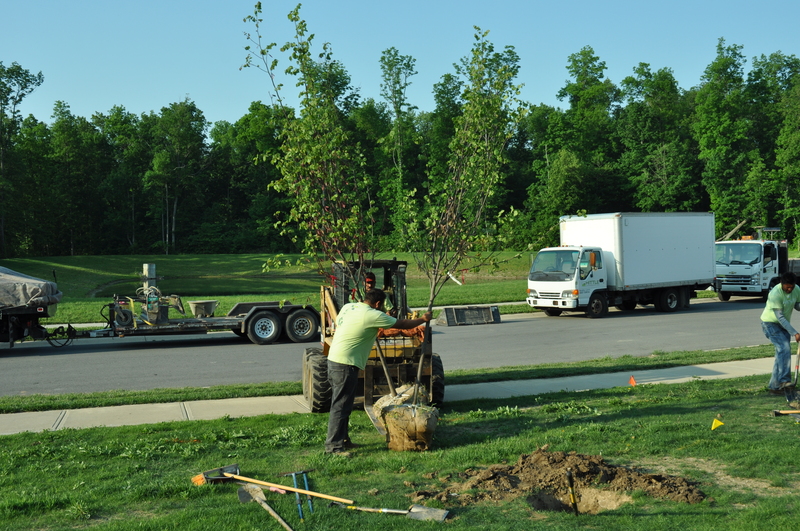 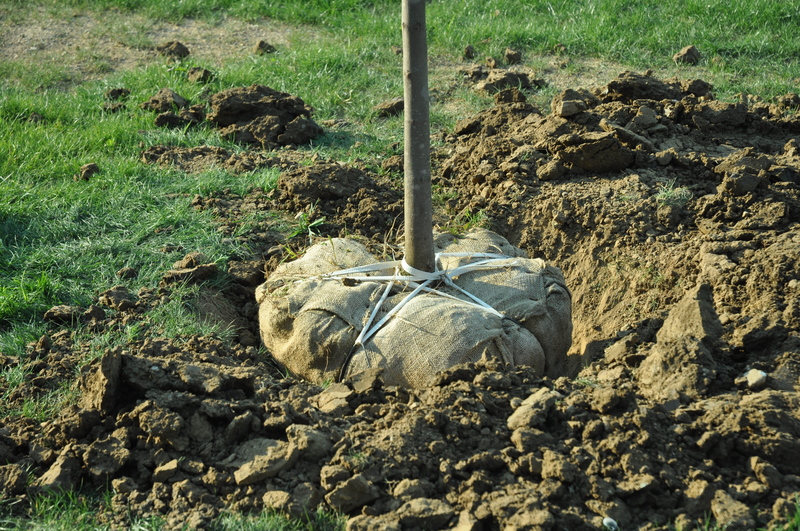 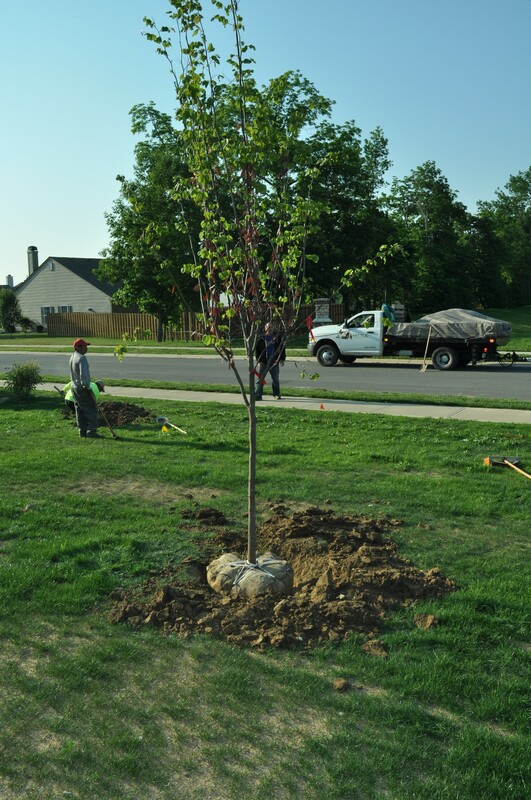 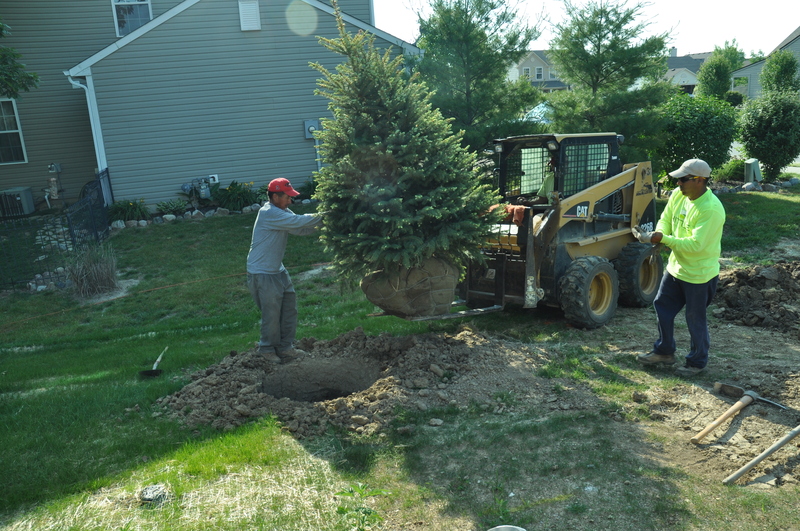 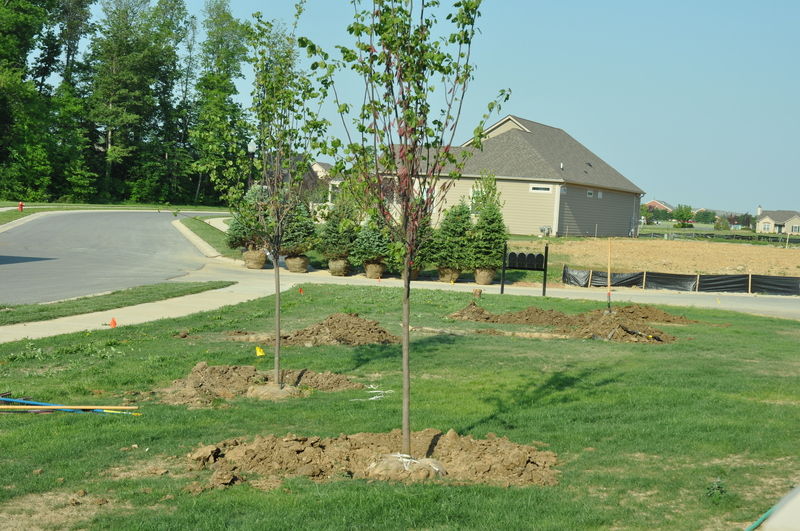 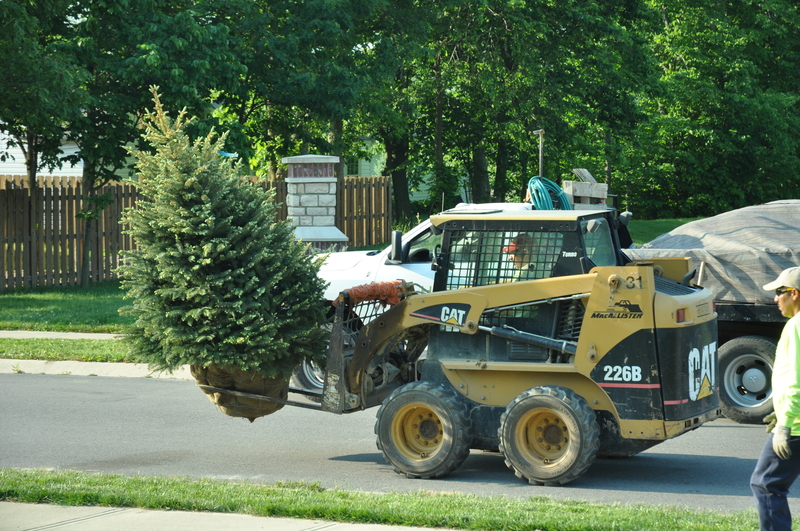 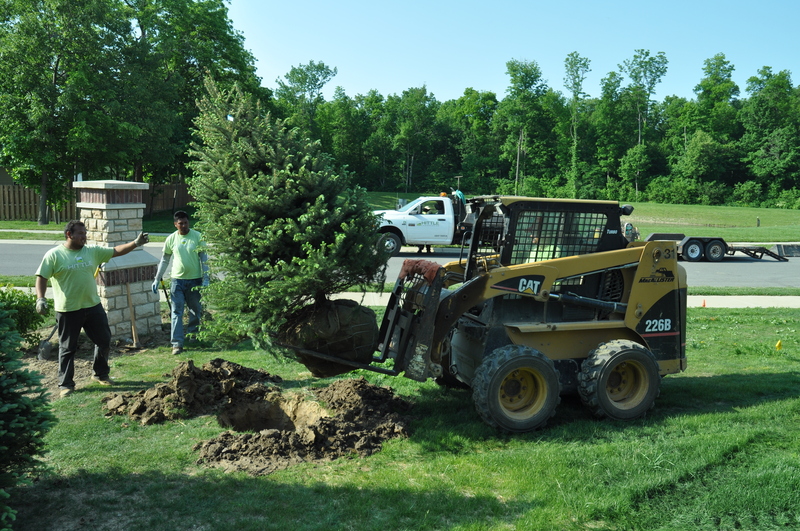 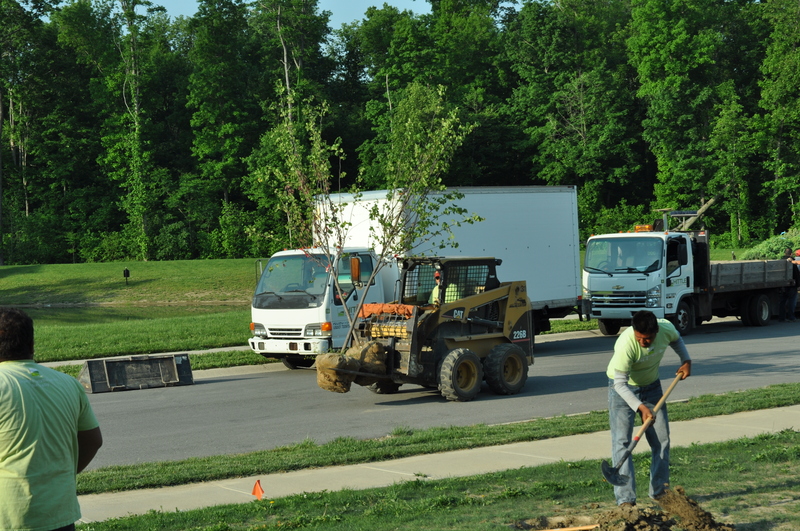 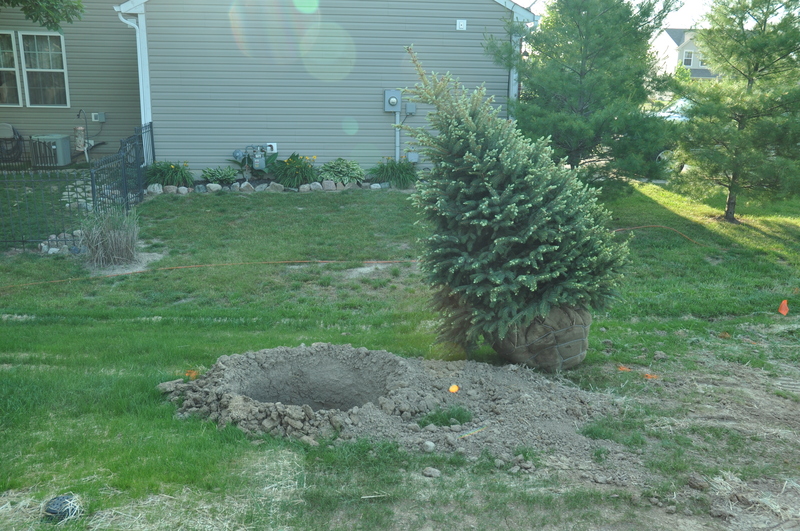 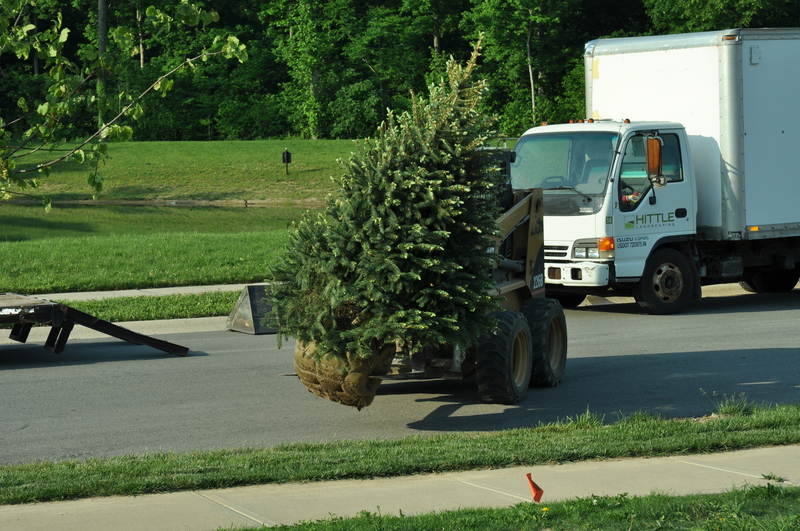 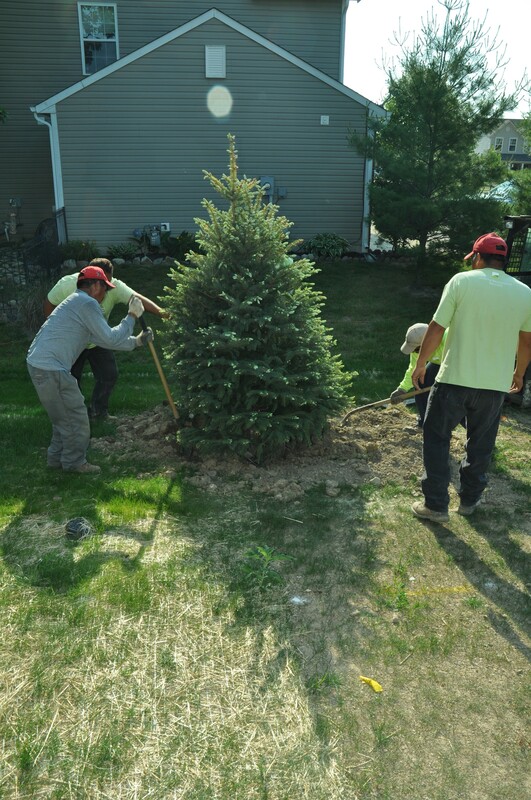 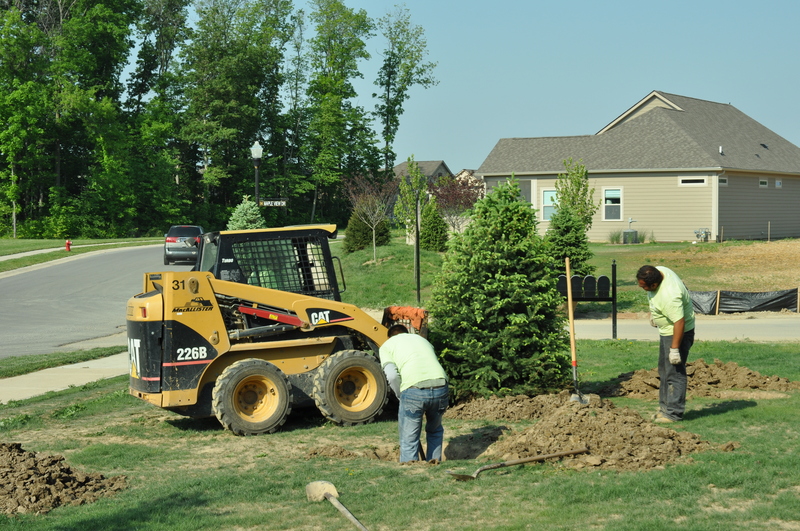 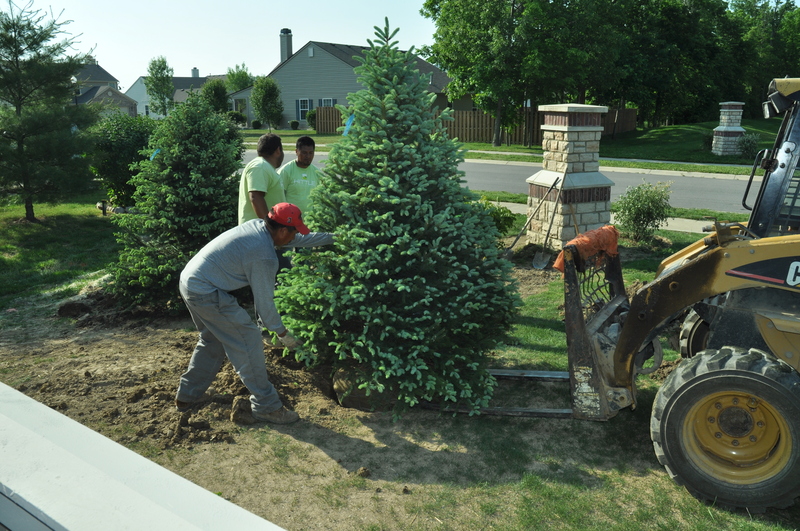 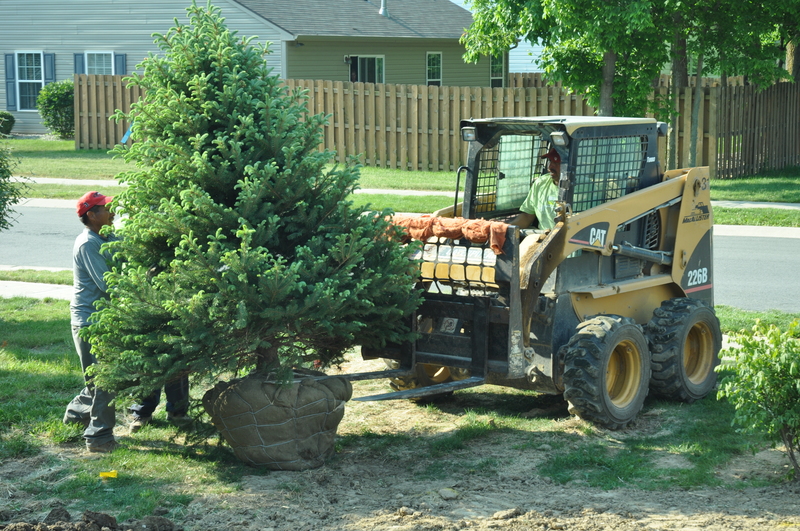 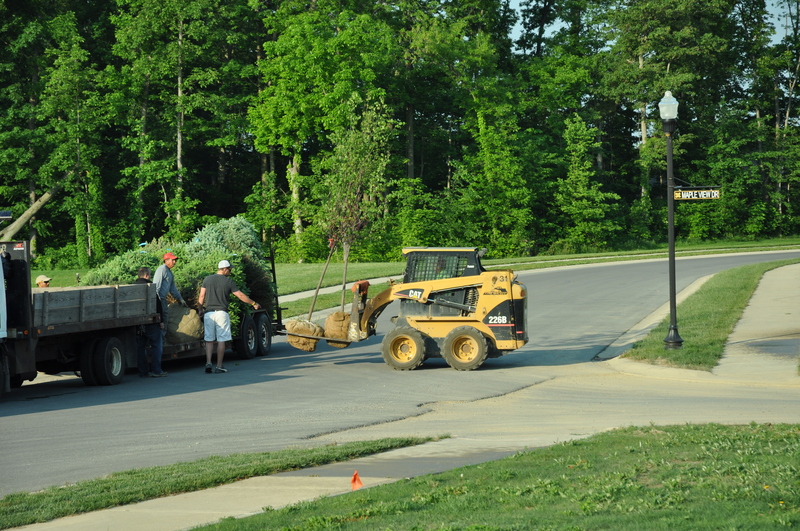 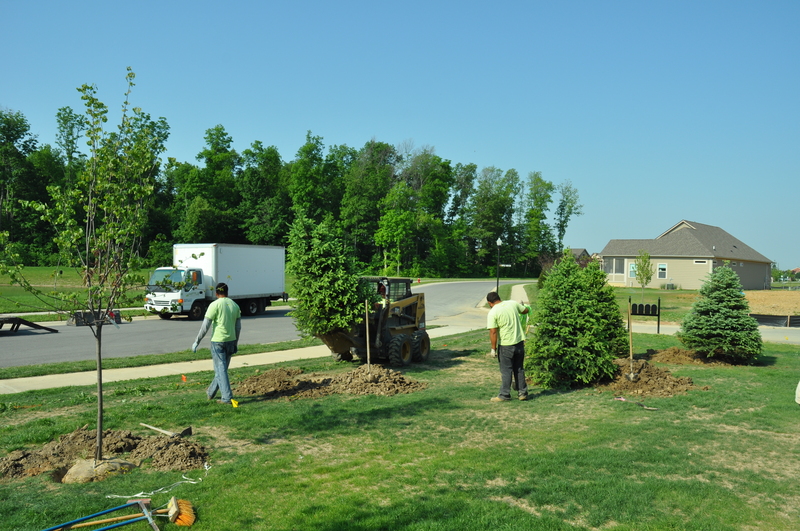 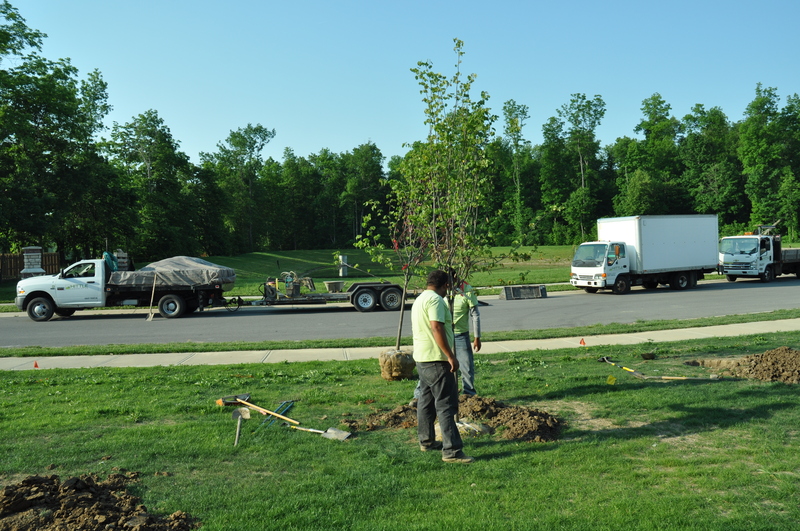 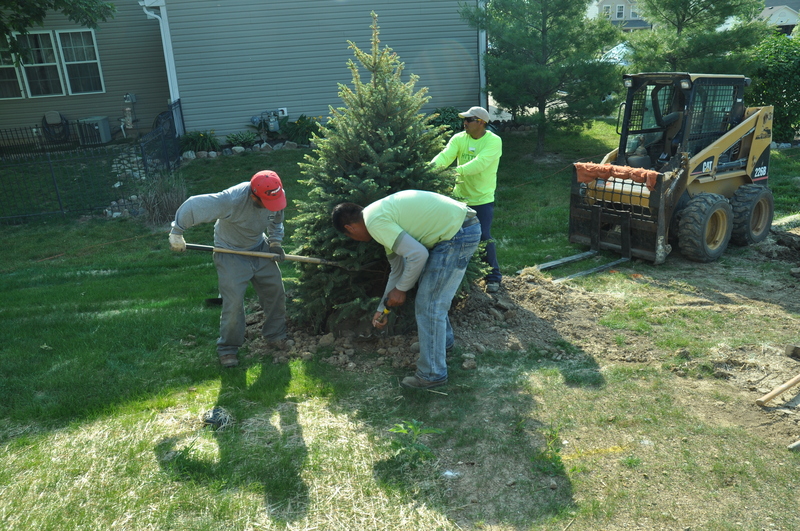 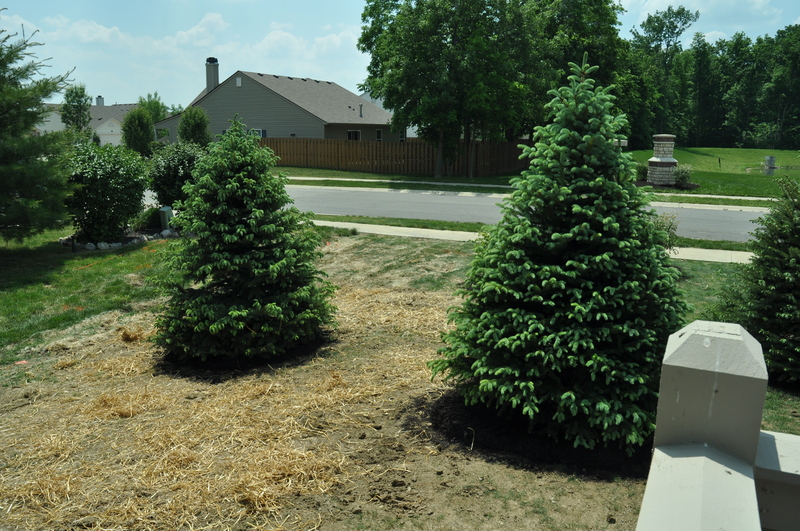 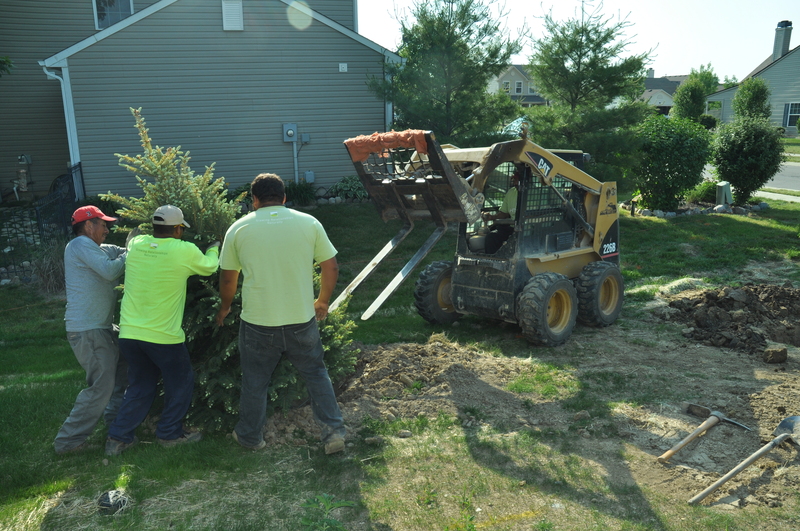 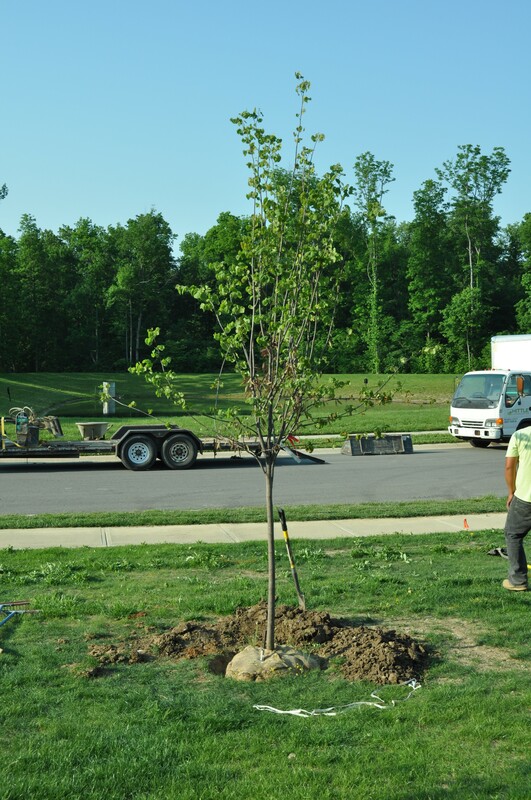 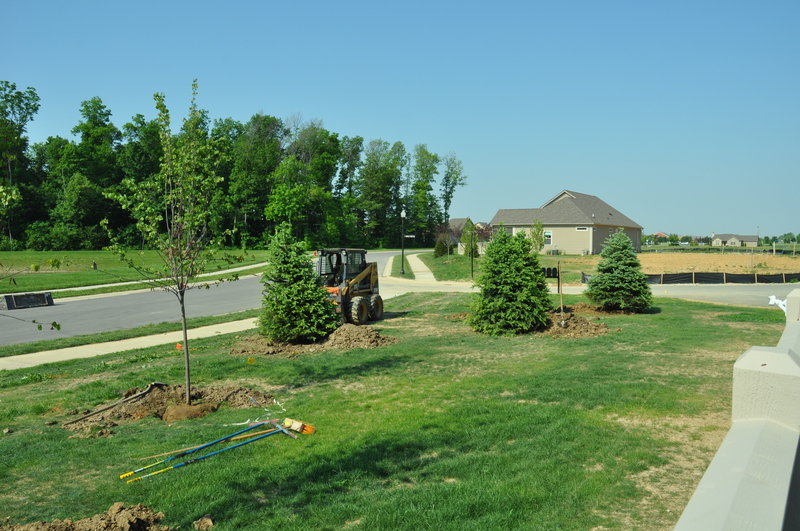 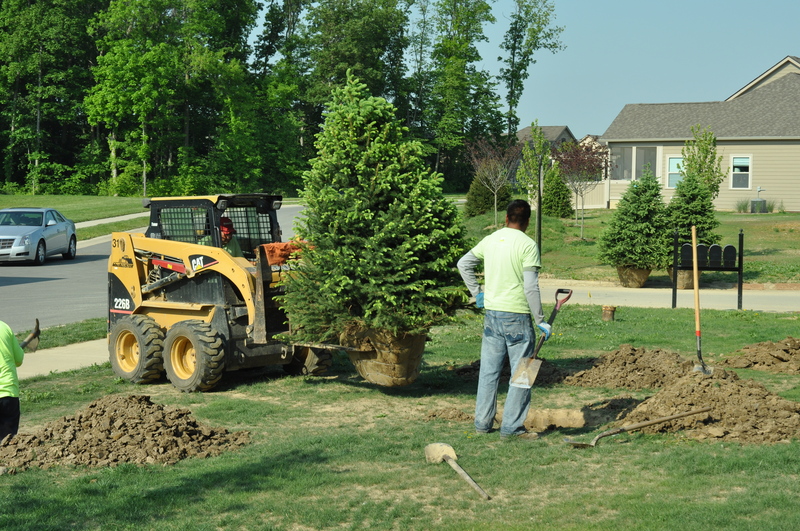 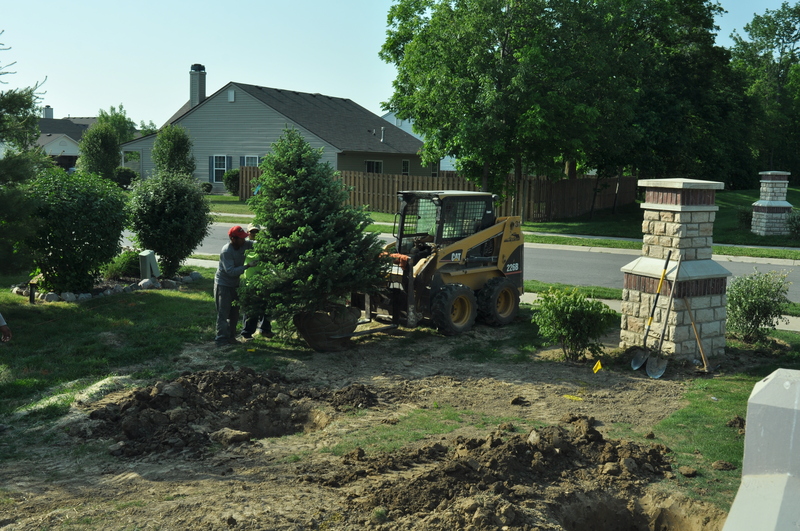 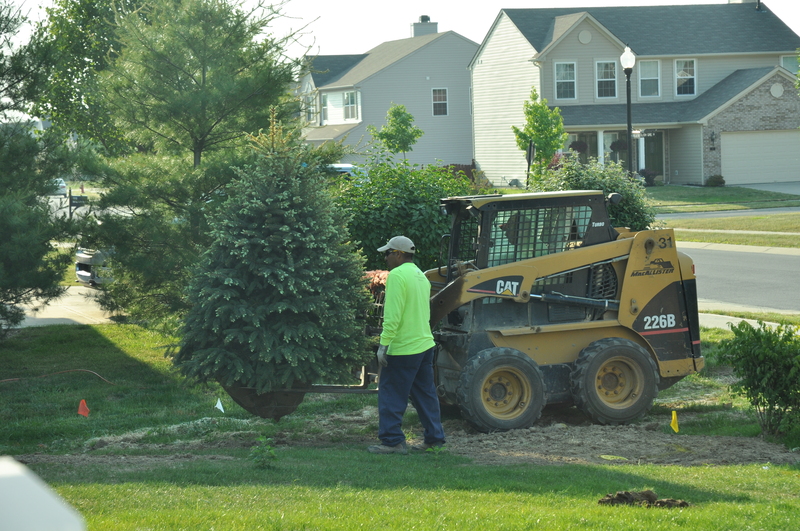 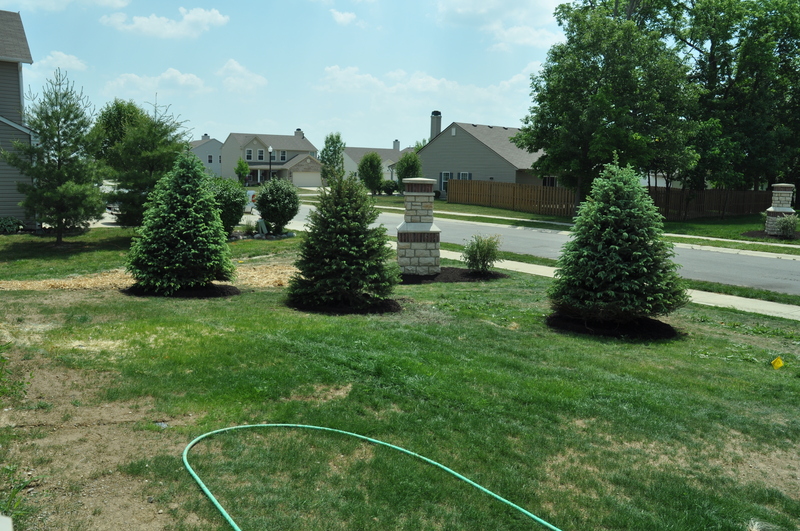 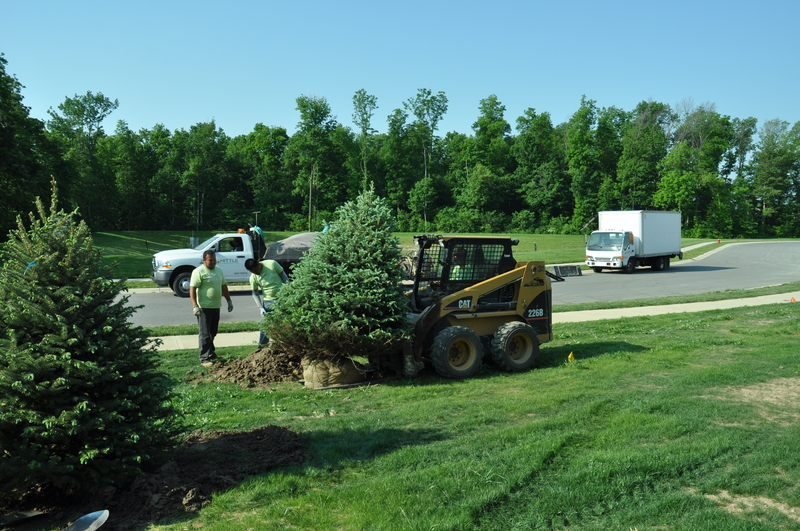 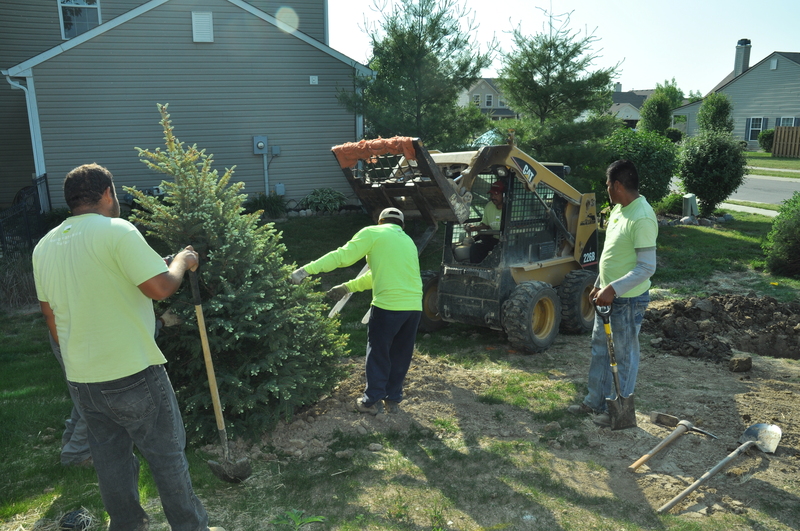 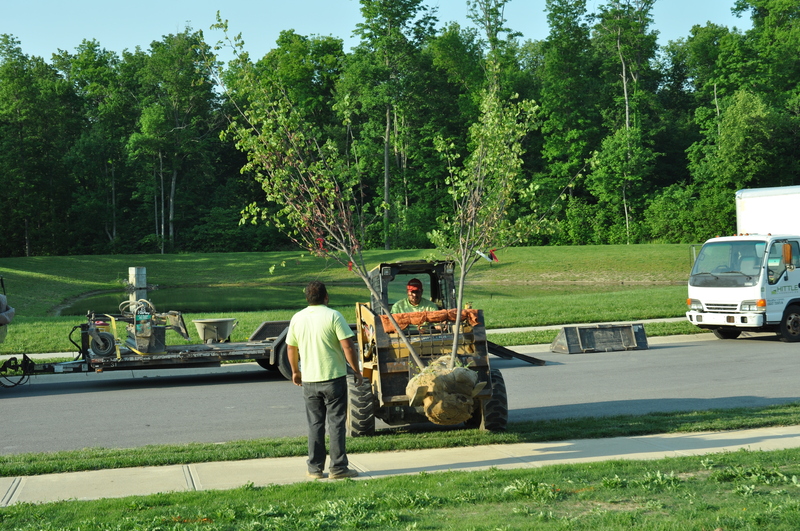 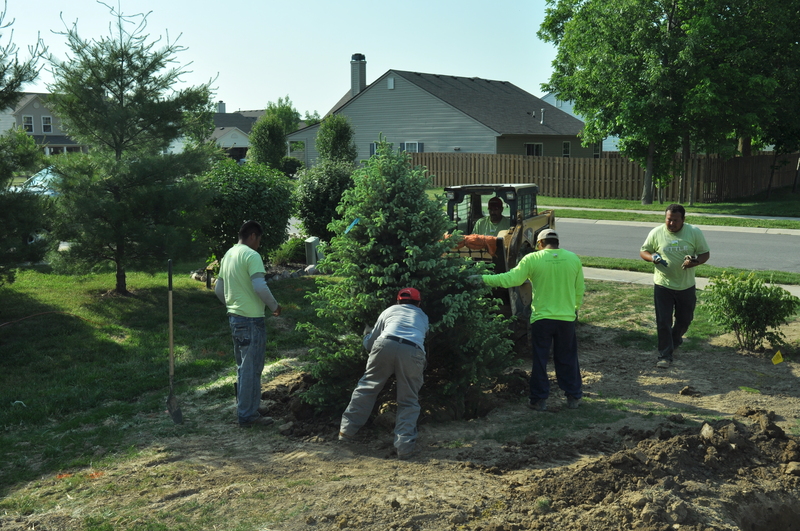 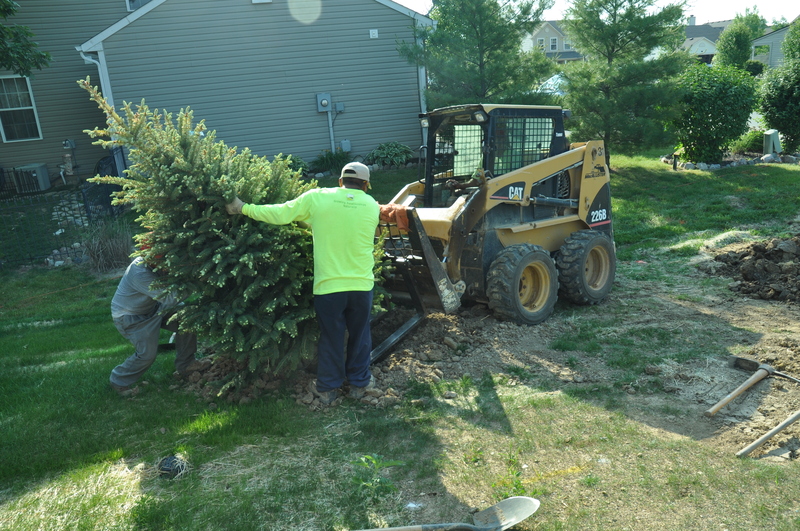 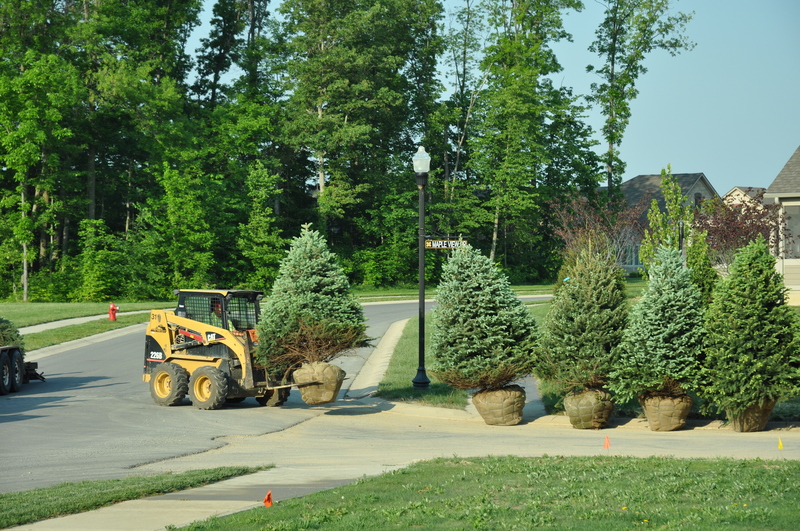 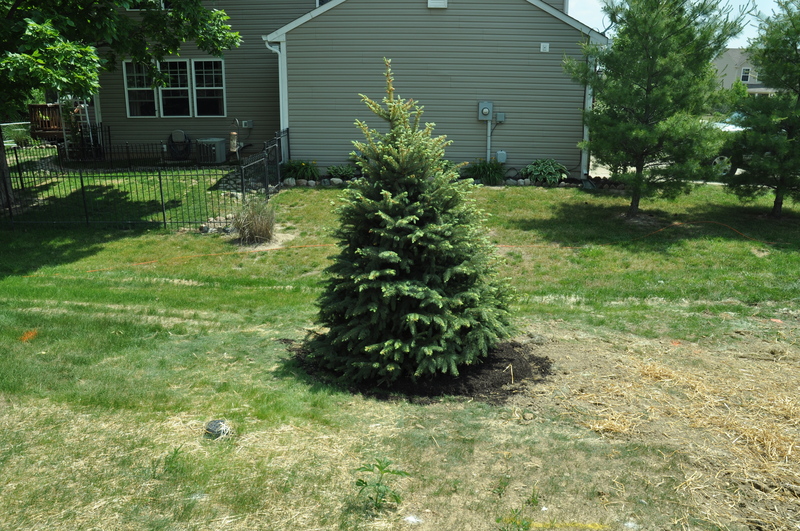 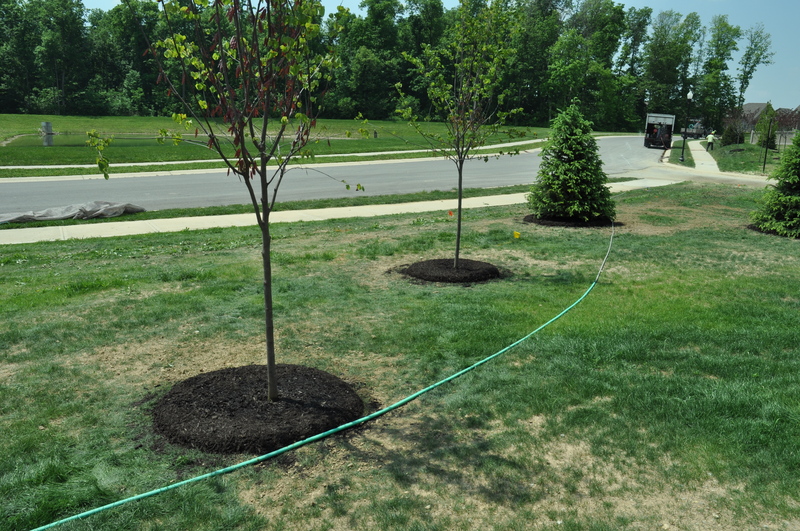 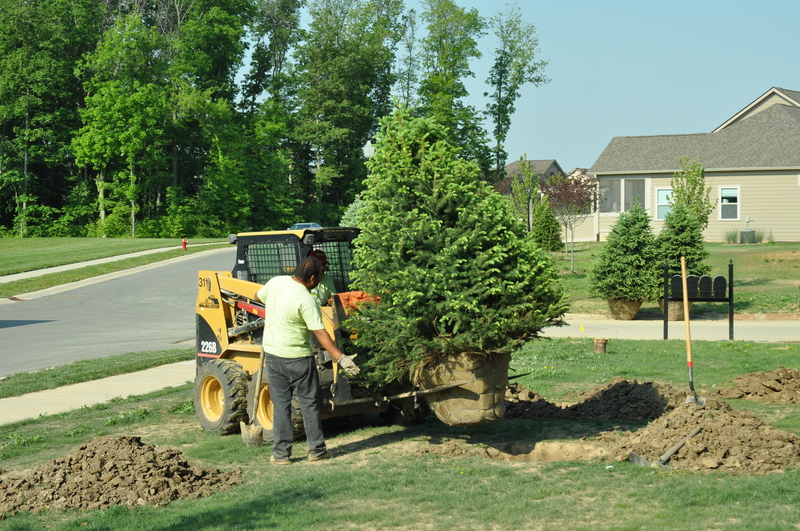 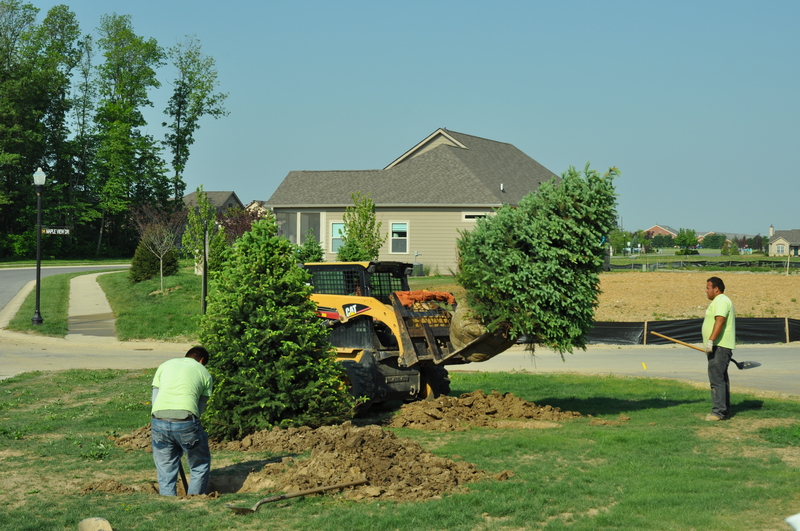 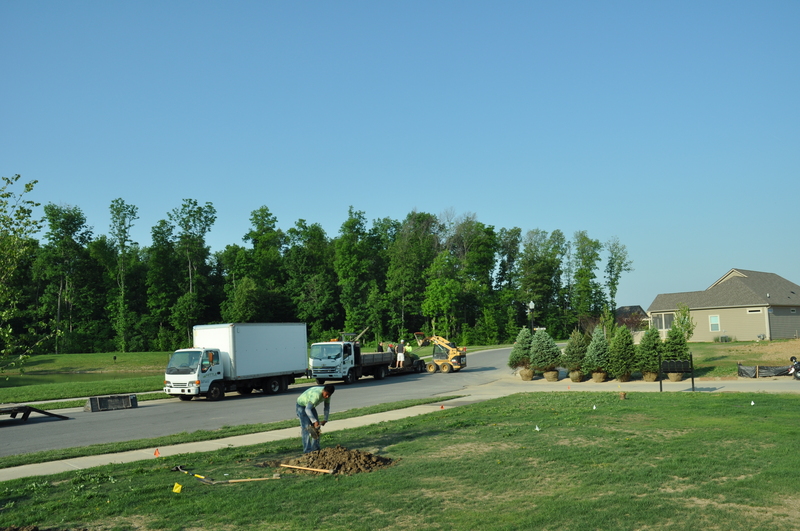 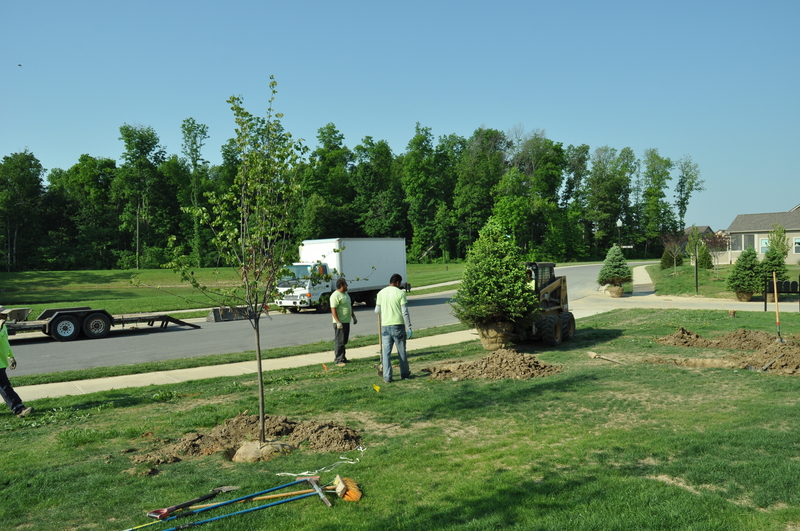 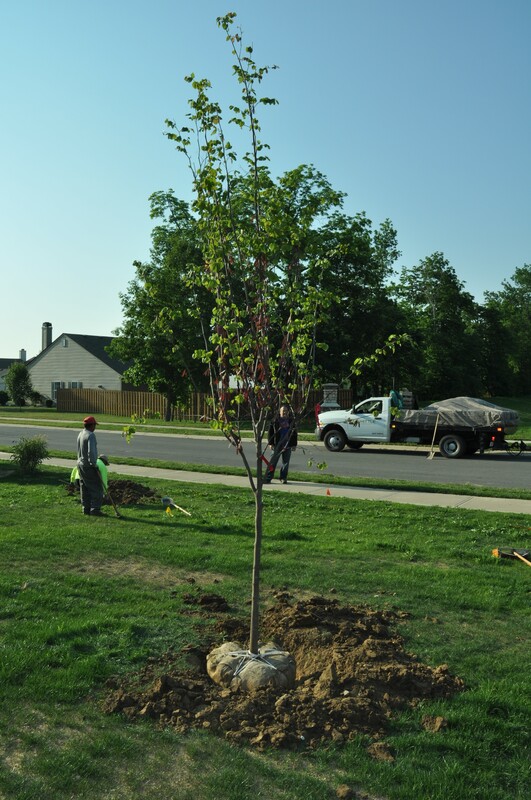 Finally, however, we did get our trees installed. 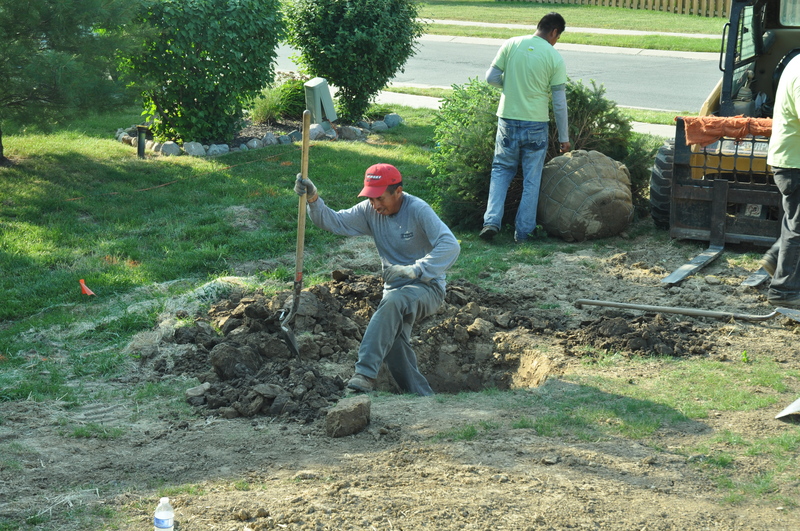 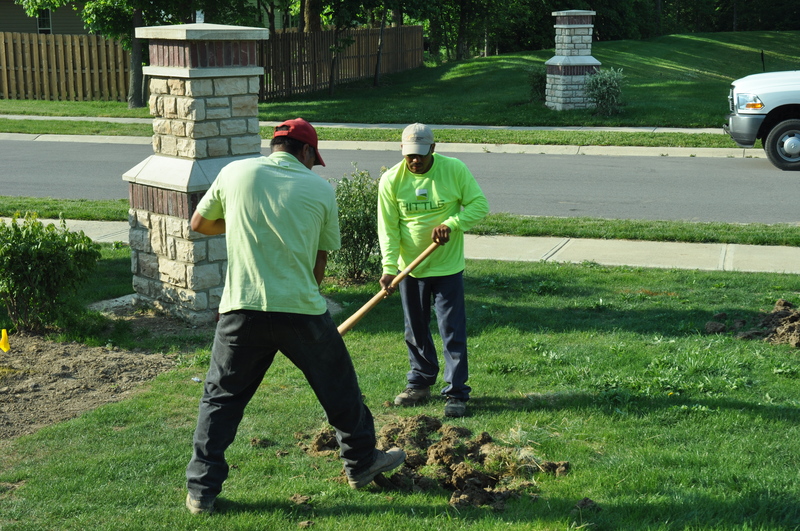 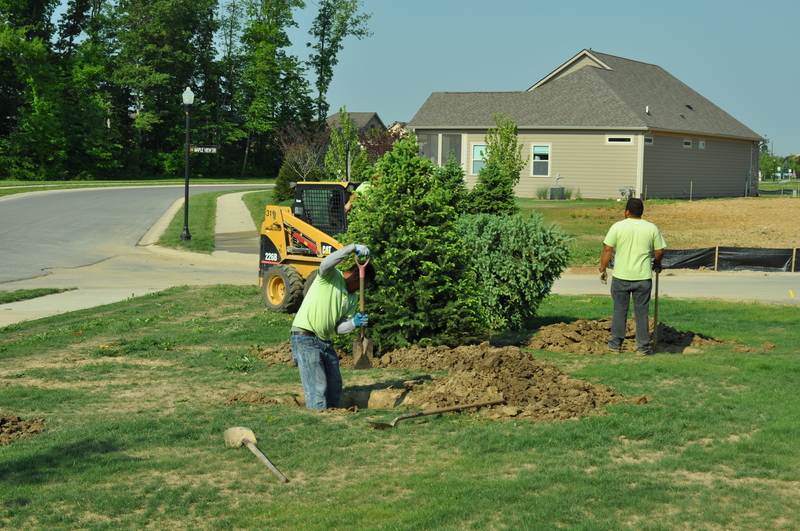 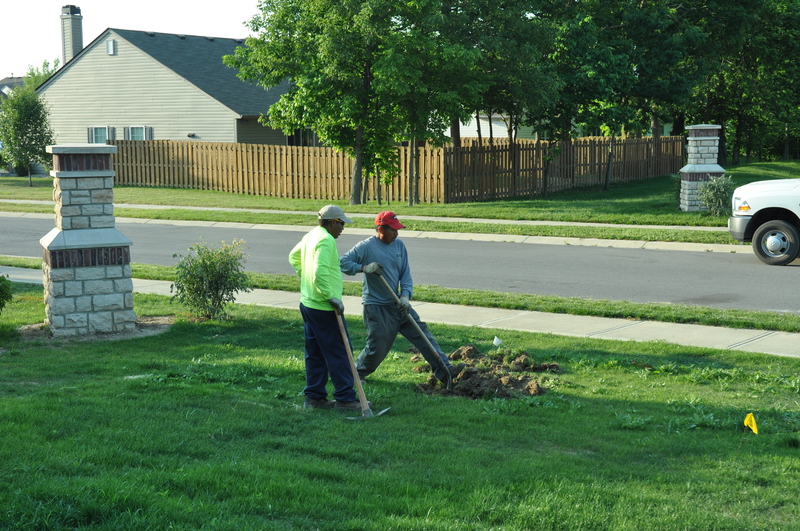 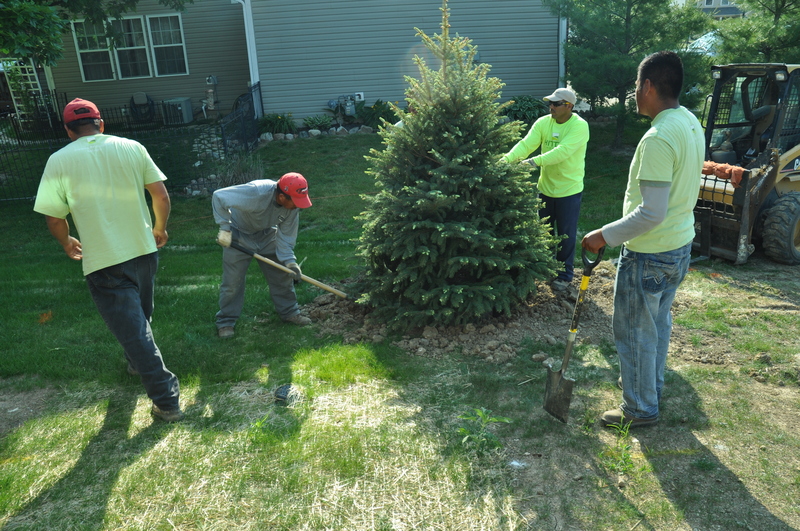 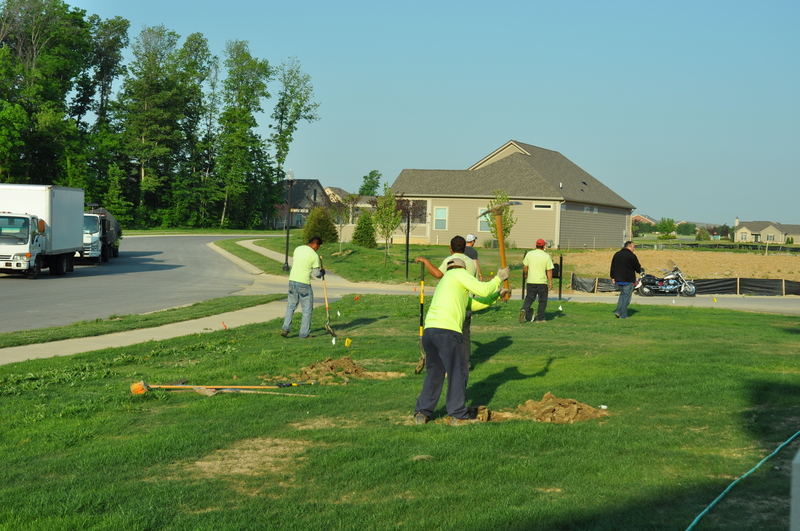 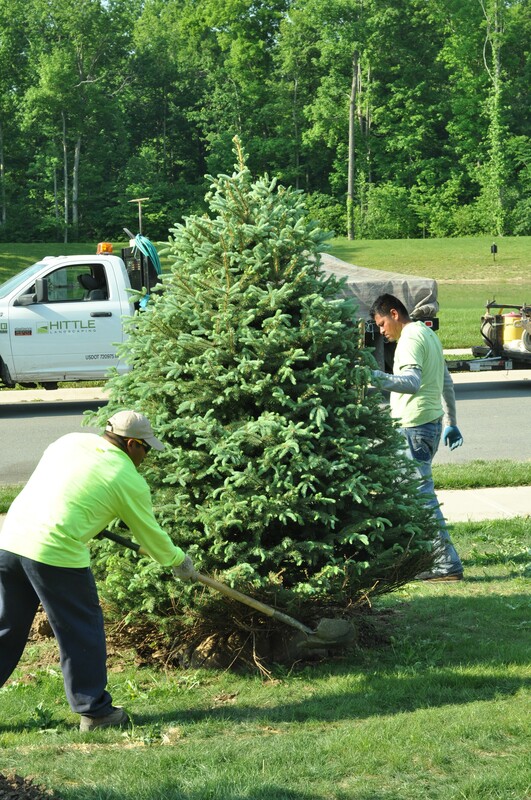 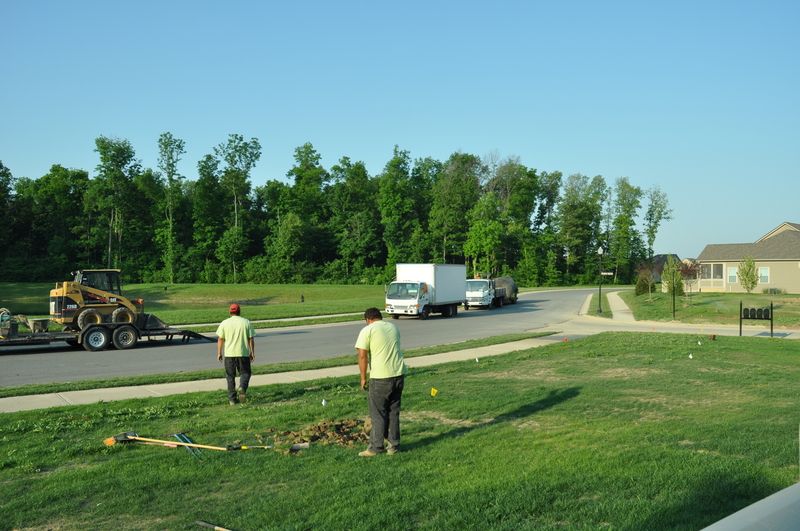 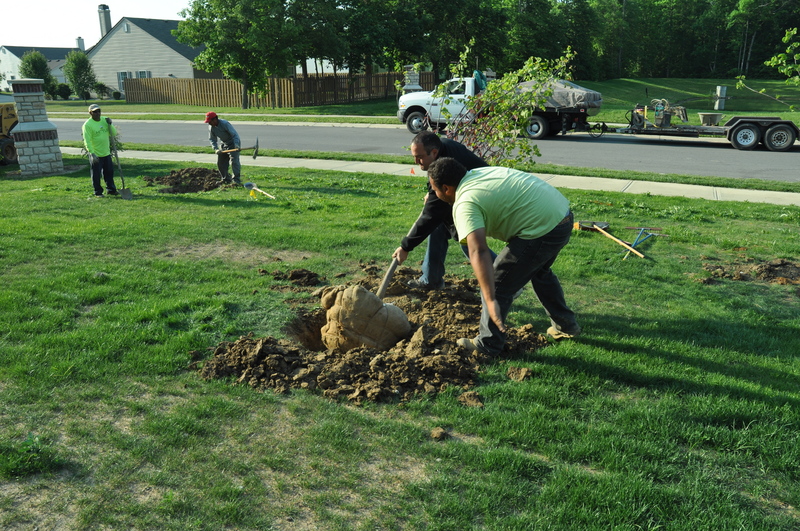 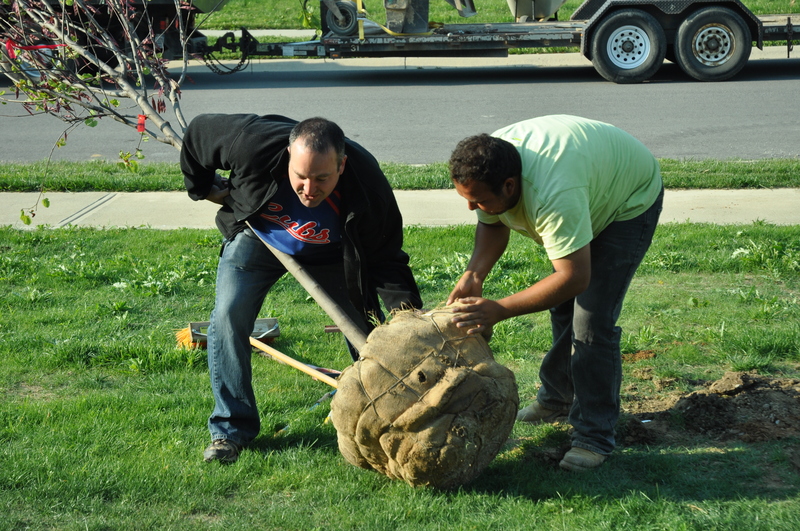 This time, even though the utility companies came out again to mark/flag all the buried lines, Hittle Landscaping decided to dig the holes by hand. 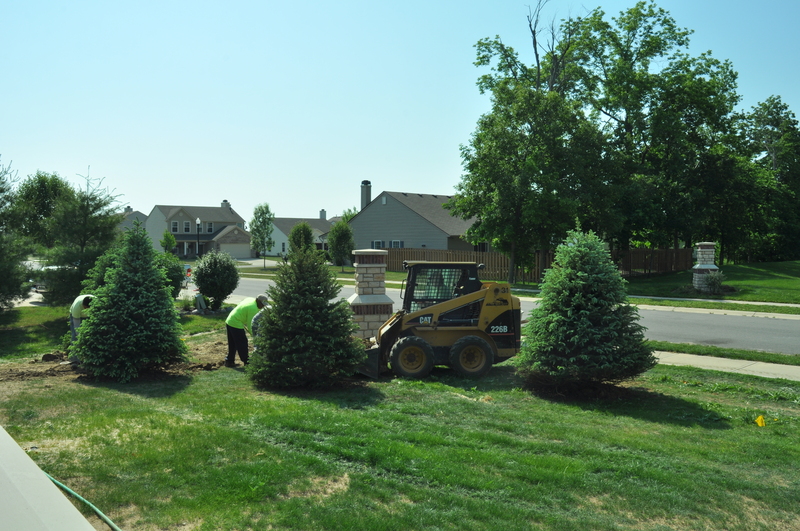 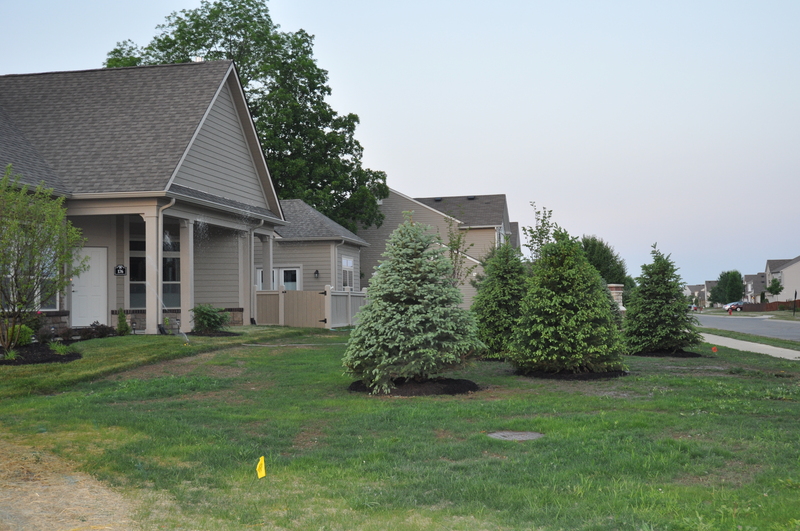 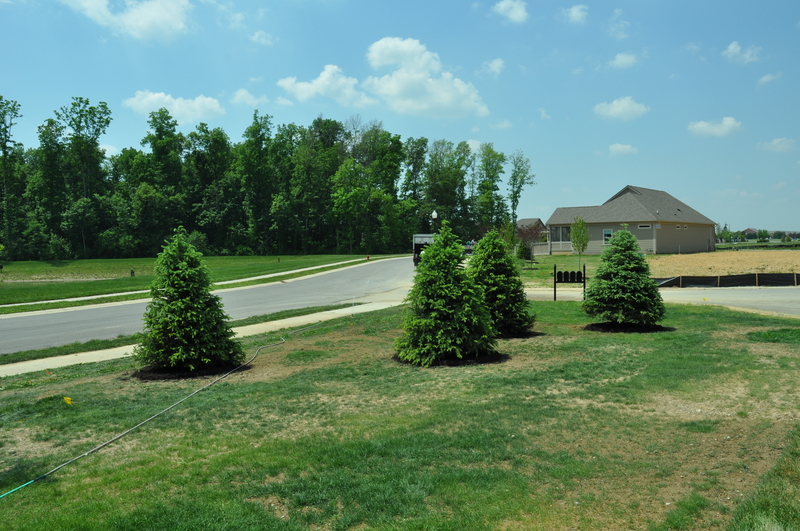 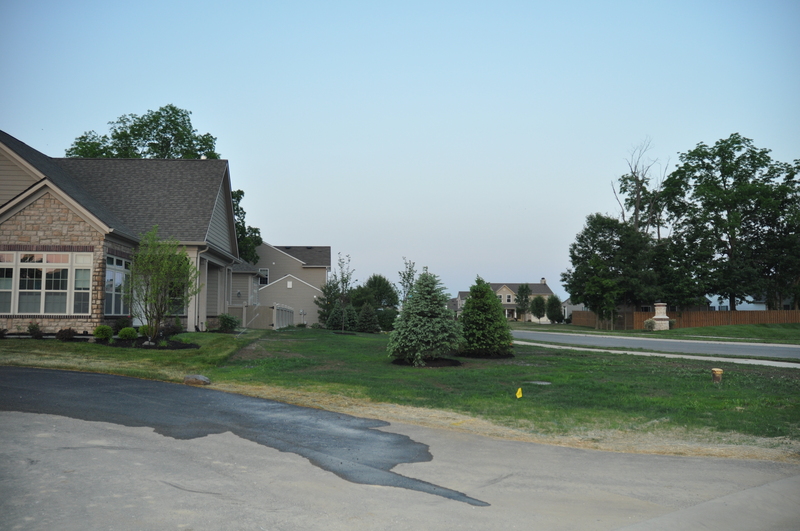 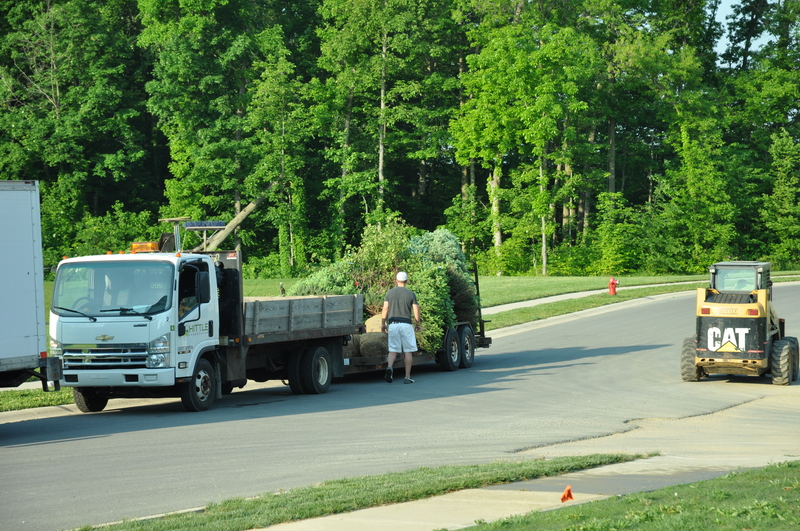 We now have about a dozen strategically placed evergreens and redbuds in the common area yard (that we call our own) between our house and the main street. 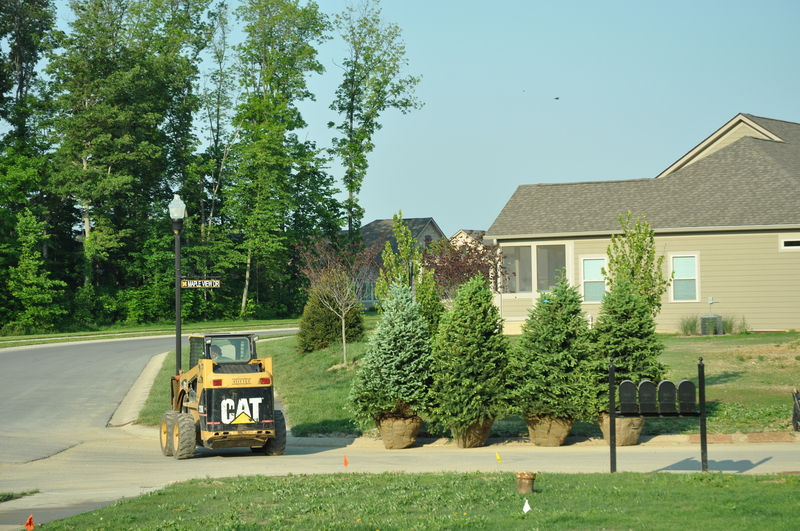 Plus, there are several newly-added bushes around the neighborhood entry posts. 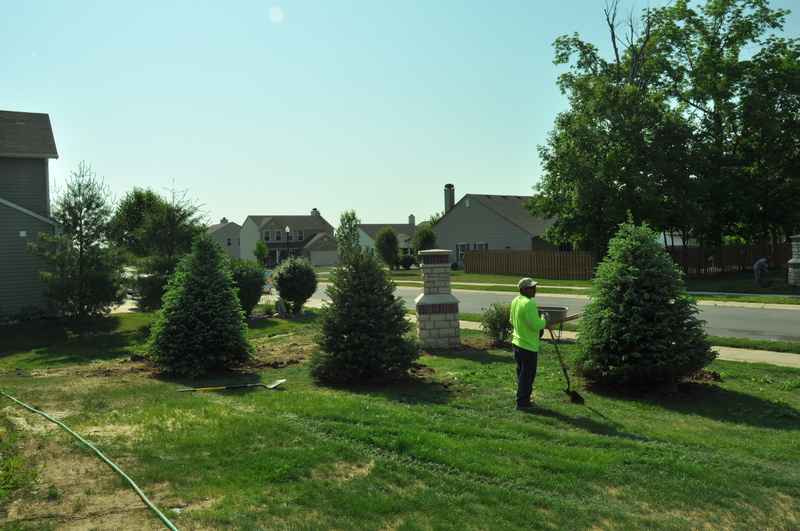 Someone said, “Look at all those Christmas trees in their yard.” Come the holidays, we could spend a fortune on Christmas lights if we’re so inclined.